An ASA Tattoo in Chicago? 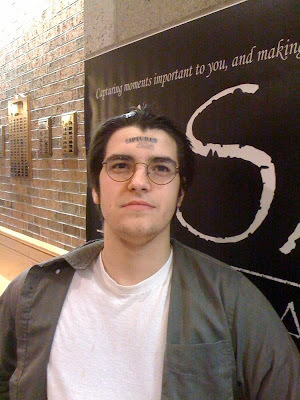 Mark, one of the Westford Academy Theater Arts Students proudly displays his ASA Tattoo branded head after his performance in "CHICAGO" as one of "Roxie's Boys". I hope he can clean this all off before the next performance! They run started last weekend and finishes this weekend. CHECK OUT THE IMAGES HERE!